The Outlook is one of SHRI's key annual events held at the beginning of each year. The forum creates a platform for HR decision-makers, industry experts and leading authorities to look towards the future of the workplace and share economic, business and HR forecasts for the year ahead. SHRI Outlook 2018 will provide an unparalleled opportunity for employers, and senior business and HR leaders from public and private sector organisations, to network, learn and exchange ideas for success. It aims to better equip Singapore's business and HR community for the critical role they have to play in an uncertain economic and business climate. David is based in Singapore and oversees macroeconomic views for the Global Research Team. He was previously Chief Economist for Asia. 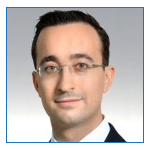 David joined the Bank in London in 2000 and was a founding member of the Standard Chartered FX Strategy team in 2002, moving to Hong Kong as a senior FX Strategist in 2005. He was previously based in New York, responsible for covering the US economy, managing the Latin America team and providing clients with the Bank’s views on Asia in the US time zone. In 2001 he was awarded the Rybczynski Young Economist Prize for work on the Malaysian Ringgit Barometer. David appears regularly in the media. He holds a BSc in economics from the University of Warwick and an MSc in Finance from the University of London (Birkbeck College). Mr Ng, a Singapore Airlines Scholar, graduated from the National University of Singapore with a First Class Honours degree in Engineering and holds a Master of Science in Management degree from the Massachusetts Institute of Technology, USA. Mr Ng joined Singapore Airlines as a Cadet Administrative Officer in 1985 and has worked in a number of senior positions in Singapore and overseas. In 2004, he returned to Singapore to take up the position of President & Chief Executive Officer, SATS Ltd.
Mr Ng was promoted to Executive Vice-President for Human Resources & Planning on 1 January 2008. He was appointed Executive Vice-President Human Resources and Operations on 1 February 2011 and took charge of the Operations divisions and Human Resources. He became Chairman of SIA Cargo in December 2010. He is also a Director of SIA Engineering Company Limited and NokScoot Airlines Company Limited. Mr Ng was Chairman of Scoot and a Director of Tiger Airways Holdings Limited until May 2016, when Budget Aviation Holdings Pte Ltd (BAH) was established to own and manage the two subsidiary airlines. Mr Ng is a Director on BAH’s Board. In August 2016, he was appointed to serve in Advisory Council on Community Relations in Defence (Employer & Business) under the Ministry of Defence. Mr Ng is married and has three sons. 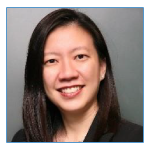 Charlotte Thng is Head of Human Resources, Singapore of Standard Chartered Bank and is a member of the country management team. In this role, she is responsible for leading the HR function through implementing strategic human resource programmes and initiatives to attract and develop talent, build an agile, efficient and diverse organisation and nurture the best-in-class conduct and performance culture, in partnership with the management team and other key stakeholders in the country. Charlotte has been with Standard Chartered Bank for a total of 14 years and has held a range of senior Country and Global HR roles in the Bank. Prior to assuming her current role as Head, Human Resources, Singapore in April 2016, Charlotte was Head of Human Resources for Global Corporate and Institutional businesses such as Financial Institutions, Corporate Finance and COO. Previously, she was also Head of Human Resources for Global Retail businesses such as Retail Banking, Wealth Management. Previous to joining Standard Chartered, Charlotte had a decade of regional HR leadership experience in the IT industry. Born in Singapore, Charlotte holds a Bachelor of Business Administration degree in Banking with National University of Singapore, and a Master of Science degree in Human Resources with Rutgers University, US. Carmen Wee is a seasoned and passionate business leader providing Human Capital insight and counsel to business executives. For more than 2 decades, she has had the privilege of partnering with the business to drive growth and transformation through organic and M&A initiatives, by deploying innovative HR practices in Talent Management, Organizational Development & Effectiveness, Leadership Development, Rewards and Performance Management. Her interest and expertise include global markets and emerging economies in Asia, Middle East and Latin America in the technology space. Currently, she is the global HR leader for Schneider Electric’s Software business which has presence in 40 countries and revenues in excess of USD 620M. She has been in Schneider Electric since 1 Feb 2007 and has held this current appointment since Nov 2011. She is an active and dedicated coach and mentor to business executives and HR leaders. It is her lifelong passion to see individuals, teams and organizations discover and fulfill their potential and maximize that for growth and success. At the national level, she sits on the HR Skills Council at the Workforce Development Agency, to assist the Singapore Government to review the strategic direction of how to develop SkillsFuture and the manpower sectoral plan for the HR profession. In conjunction with this, she is also a member of the taskforce set up to provide the recommendations for the National HR Certification framework. She also sits on the WDA committee to promote learning & development for the mature workforce. She was awarded the HRM Award for “Best HR Leader” in 2009 and the top ‘100 Most Talented Global VP’ award by CHRO in 2015. She is a certified Singapore listed company Board Director and a Board member of the Republic Polytechnic’s School of Business. Carmen has been awarded one of 3 of the Singapore Institute of HR Professionals pioneer Master HR Professional certification status in July 2017. 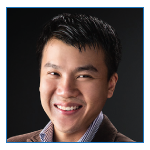 Charlie Ang is a Business Futurist, Innovation Strategist and Venture Investor. He inspires, advises and works with businesses to innovate and transform into future-leading organisations in this disruptive and digital age. As a Business Futurist, his specialty is in analysing, foreseeing and explaining the impact of technologies on the future of the economy, industries, companies, education and jobs. Besides being a highly sought-after futures speaker and thought leader, he is also an innovation strategist (as Founding President of The Innovators Institute, Co-founder of The Innovators Network), venture investor (Partner and Head for Singapore at KIATT, a deep technology and commercial science global venture capital firm) and an exponential educator (Ambassador of SingularityU (Singapore), which is the worldwide alumni network of Singularity University). 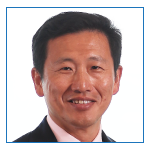 Frank Koo is the Head of Southeast Asia, Korea and Japan at LinkedIn and is responsible for LinkedIn’s Talent and Learning Solutions business. 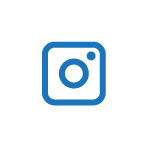 Frank’s organization supports companies in optimizing talent acquisition, development and retention strategies through the use of technology and best practices on LinkedIn’s platform. Frank has been in the technology and education industry for more than 25 years, Prior to LinkedIn, Frank was the Chief Operating Officer of BE Education. He has also held leadership roles in Pearson Education where he was President of Learning Solutions in APAC, and Oracle where he was Managing Director for Singapore and South Asia Growth Economies. Russell Tham is president of Applied Materials, Inc. South East Asia where he supports the company’s infrastructure and strategy in the region. Concurrently, he heads the South East Asia Global Field Group where he oversees the regional business and also leads the new Asia Alliances team as part of the New Markets and Alliances Group. Mr. Tham joined Applied Materials in 1994 and held various management positions before being appointed as vice president and general manager for South East Asia in 2004. In 2012, as head of Global Continuous Improvement, he led the deployment of Lean Six Sigma in key operational areas to improve the speed and efficiency of processes globally. 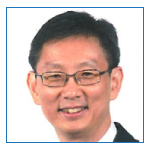 He has also been integral in growing Applied Material’s innovation presence in Singapore starting with Applied Materials packaging development center in 2011 to advanced semiconductor R&D and other early stage growth projects in 2015. 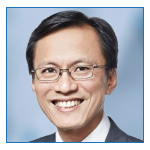 Mr. Tham serves as vice chairman on the SEMI SEA Regional Advisory Board and is a member of the Singapore Semiconductor Industry Association (SSIA) Advisory Board. Mr. Tham is also on the Board of the Energy Market Authority (EMA), the national agency that regulates and develops Singapore’s energy sector. Mr Tham is also part of the 31-member Future Economy Council (FEC) chaired by the Singapore Finance Minister. Announced in May 2017, the FEC is a national council comprising key government officials and business leaders who will oversee skills and innovation efforts to grow and transform Singapore’s economy. Mr. Tham is an Adjunct Professor at the National University of Singapore (NUS) Department of Mechanical Engineering. 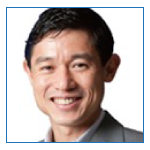 He serves on the NUS Engineering Faculty Advisory Board and the Temasek Polytechnic Board of Governors. Mr. Tham also chairs various local community committees. Mr. Tham received a bachelor of engineering degree in mechanical engineering from the National University of Singapore. 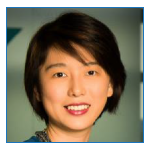 In the last 10 years with SAP, she held the role of APJ Regional HR Business Partner for SAP Sales, Presales, Marketing, Office of CEO and Global Finance & Administration line of business. 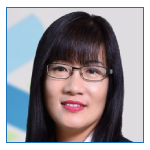 In her role, Wee Ling is very successful in driving organisation wide HR initiatives, including change management, business transformation, organisation design, leadership development and succession management. As of July 2017, she is appointed to lead the SEA HRBP team, to drive the people agenda with the SEA Senior Leadership team. Prior to SAP, Wee Ling spent 4 years with JPMorgan Chase and contributed actively to build up their Talent Initiatives in both the Investment and Private Banking business. Before that, she started her career with Hewlett Packard Singapore, in the compensation and benefits functions, reviewing and designing competitive salary and benefits structures for SEA locations. Wee Ling holds a degree in Economics and post graduate diploma in Human Resources Management. 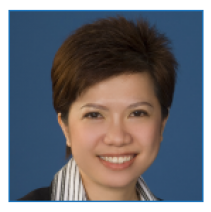 Dilys is a Partner at Ernst & Young and leads the People Advisory practice across ASEAN. Dilys has dedicated her career of over 20 years to understanding and working with corporations on various challenges with people, culture and organisation. In her capacity as ASEAN People Advisory Services Leader, she manages the ASEAN practice offering mobility, talent, rewards, performance and workforce analytics solutions to clients. She is also leading the development and growth of the practice in talent acquisition and capability building across the practice areas. Dilys has worked with a myriad of clients ranging from public sector organisations, professional services, retail, financial services and manufacturing. She works with clients when their businesses restructure, during mergers and acquisitions, or in the implementation of digital, technology and robotics. She works with her clients to build organization capability and competencies, manage change, in workforce optimization initiatives, talent strategies, business process improvements and operating model design. She also works with clients to develop and build workforce capability as companies grow or seek to improve business output and productivity. Within Ernst & Young, Dilys is also actively involved in building the capability of the team through identifying new talent, developing and retaining talent within the Firm. She enjoys leading and supporting initiatives within the Firm, particularly in various diversity programs, work-life balance initiatives and in efforts to continually innovate the way we work and interact at Ernst & Young. 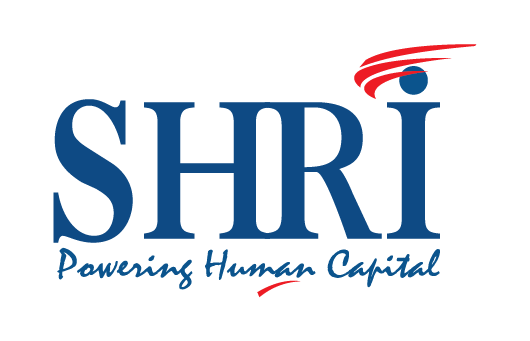 SHRI Outlook 2018 seeks to address key HR, Business and Economic trends for the year ahead. Don't be left out this January! Stay engaged with us on our social media sites today!